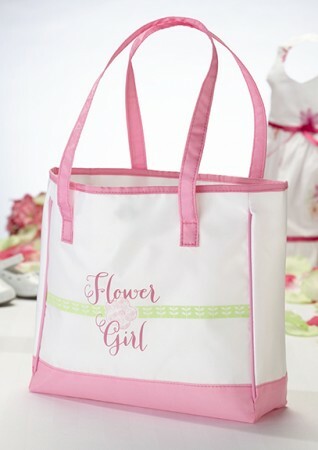 Give the gift of love with this adorable flower girl tote. Sweet colors of pink, green and white. Measures 10.5 x 9.5 inches.